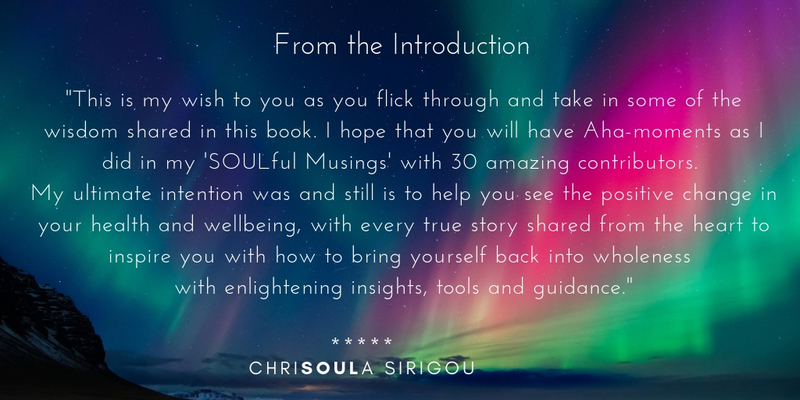 Empowered by the collective energy of over 30 contributors, it is infused with aha-moments, that help show you how to embrace a WHOLE-ISTIC approach to health and well-being. 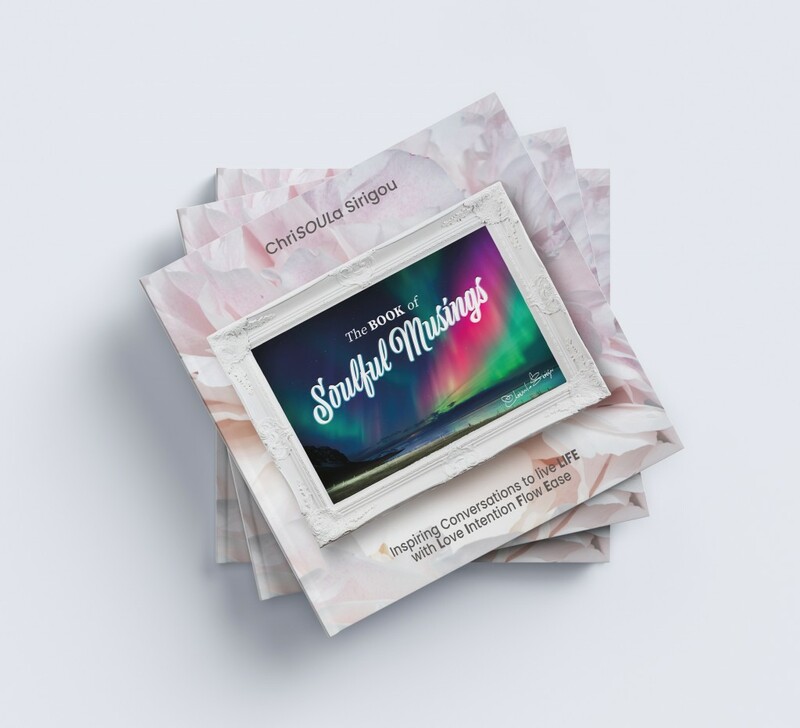 Inside, you’ll find insightful selections from meaningful conversations between ChriSOULa Sirigou, The Golden Muse, and some of today’s most heart-centred thought leaders and holistic health and well-being advocates. 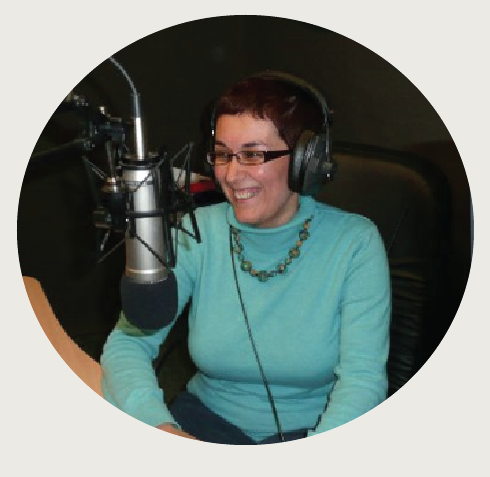 All of these have featured on her Health and Healing Radio Show or her GoldenMuseTV Show. Each of the 5 sections represent a powerful “key” in ChriSOULa’s own evolutionary journey. Each of the 10 chapters in the book share lessons in finding purpose and being in the flow of prosperity. Visionaries, authors and teachers explain our complex relationship with the body, mind, heart, gut and spirit. Change makers explore faith, forgiveness, letting go and the healing powers of courage, compassion and connection. ChriSOULa Sirigou compiled, wrote and published this book of extraordinary contributors with Golden Muse Publishing. 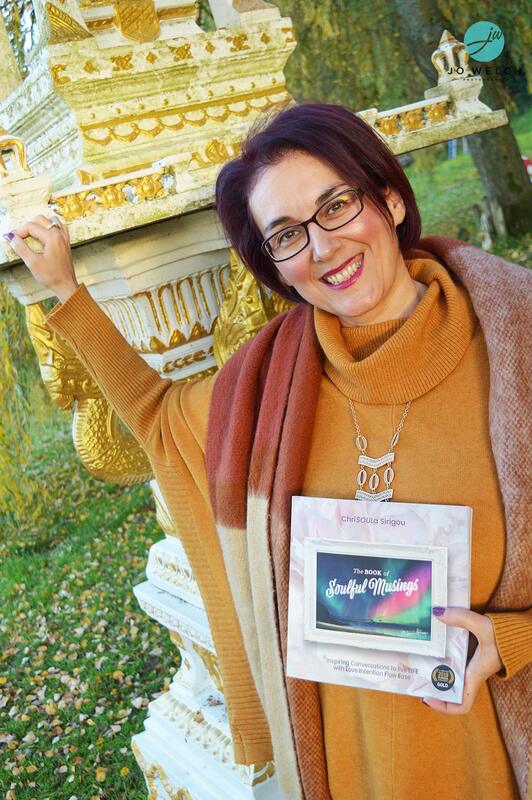 ChriSOULa in Greek means “the golden lady.” Enchanting storyteller ChriSOULa, is known as The Golden Muse because of her colourful personality and great skill in quickly inspiring people to step into their authentic flow and bring out their inner golden treasure. 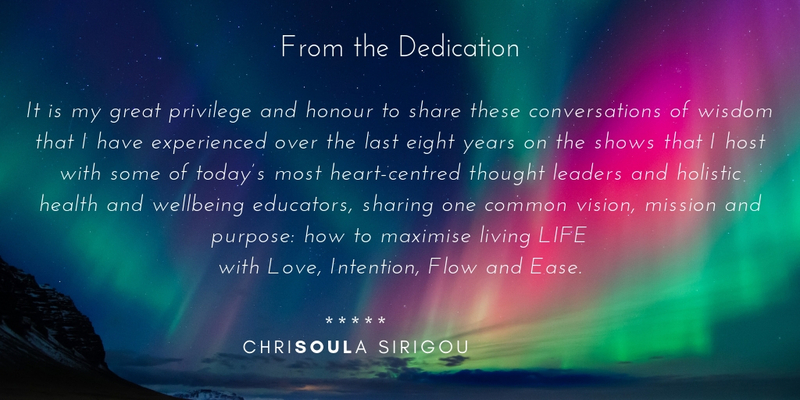 ChriSOULa Sirigou believes that when it comes to real transformation, whether it’s finding your purpose, taking a new step forward and following your dream, healing your health and relationships, or supporting your children, people aren’t just looking for more information. She thinks that they are seeking inspiration and need role models whose empowering messages can help them to change their lives for the better. Over the last eight years, ChriSOULa has showcased these role models and helped hundreds of holistic health and well-being educators, authors and heart-centred entrepreneurs to share their brilliance in an authentic, joyous and down to earth way through media production broadcasting her weekly Health and Healing shows on RedShift Radio, and also on her GoldenMuseTV channel. These LIFE Inspiring Conversations form the core of this book and have already had a profound effect on many individuals’ minds, hearts and souls.